Crypto-ML is pleased to announce the release of a significant new enhancement, Auto-ML. 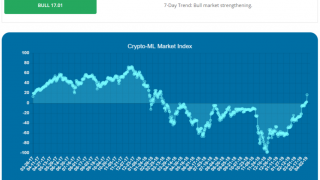 This feature provides continuous analysis of the cryptocurrency market, giving users a new level of insight and capabilities. From a machine learning perspective, Auto-ML has been running in the background since January of 2018. During these months, Auto-ML has evolved significantly and delivers an incredibly powerful trading solution. It is now generally available to Crypto-ML customers. This post will give you details on Auto-ML and how existing Crypto-ML customers can enable it. Dec 26, 2018 Update: Auto-ML now supports Bitcoin, Bitcoin Cash, Ethereum, and Litecoin. Dec 27, 2018 Update: Auto-ML has fully replaced Standard Notifications. Read more about Standard Notification retirement. The traditional Crypto-ML platform (now referred to as “Crypto-ML Standard”) is designed for swing traders who want great results but also want to minimize the direct effort and stress associated with active trading. It was built upon the concept that trading should be a simple activity, allowing for a once-daily interaction with a tool. However, certain traders want to be more directly engaged with the market and may enjoy the demands of continuous trading. For this audience, Auto-ML provides a solution that continuously monitors the market and may issue alerts at any time–day or night. In terms of the machine-learning backend, Auto-ML effectively removes the constraints that Crypto-ML Standard requires. The standard constraints are designed to accommodate the “human interface.” But, the fewer constraints a machine has, the better its potential. While Auto-ML was initially planned as a day-trading platform, our team realized “day trading” was yet another constraint that greatly compromised results. By forcing high-trade frequency, profits suffered as did the quality and durability of the machine-learning models. Instead, by removing as many constraints as possible and simply asking the machine-learning models to simply maximize cumulative profits, we have been able to realize results that have completely exceeded expectations. Now, Auto-ML is free to initiate multiple trades per day or keep trades open for weeks at a time. Removing constraints means the models can catch big changes faster. 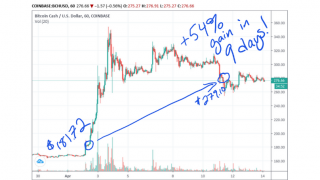 As we know, a lot can happen to Bitcoin in a 24-hour period. What if you didn’t have to wait 24 hours between signals? Good things. But rather than explain it, we believe it’s best to show exactly how the trades have played out. Losses occur and are expected, but they are minimal and overshadowed by significant gains. As always, we are a high-transparency company. We will post our trade history publicly. 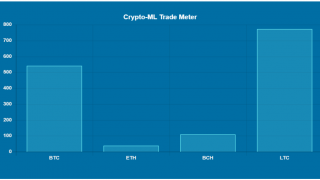 See the Auto-ML trade history here and a snapshot of the results below, showing the evolution of a $1,000 investment in Bitcoin from the January 2018 initiation. As you can, the results are phenomenal. Better yet, as the model was applied in backtesting to previous time periods (such as the “2017 run-up” or previous “sideways” periods), it achieved even better results. The challenge for users with Auto-ML is a trade may be triggered while you are unavailable to access your account. Ideally, Auto-ML would initiate buy and sell orders directly in your account, allowing the solution to be truly automated. An “Auto-Trade” solution has already, in fact, been completed by our engineering team, but it cannot yet be released. This feature is capable of initiating trades in your account automatically based on Auto-ML signals, eliminating human latency. However, it is pending regulatory approval by the CFTC (cftc.gov). We will provide updates as the approval progresses. In the meantime, you can explore 3rd-party solutions from other Crypto-ML users, such as Bevry-Trading Crypto-ML Alerts (github.com). And regardless of automation, following the signals manually is still highly effective. How are Auto-ML alerts delivered? If you have selected to be notified in Notification Settings, email alerts are sent whenever an alert is triggered. Emails are only sent for “BUY” and “SELL” calls. Unlike Crypto-ML Standard, “HOLD” notifications are not issued. Will Crypto-ML and Auto-ML expand outside of cryptocurrency? Yes. As part of our regulatory approval through the CFTC (cftc.gov), our services will expand out of cryptocurrency to serve traditional financial markets across the globe. The models are already developed, active, ready and waiting. How do I sign up for Auto-ML notifications? Existing Crypto-ML customers can change notification settings at any time using the Notification Selection page. You can also access this from your Member Dashboard. There is no extra fee. If you are not yet a customer, please sign up on the Crypto-ML Waitlist. The standard alerts are the backbone of the Crypto-ML platform. Once daily at 7pm EST, data is pulled and evaluated by the Crypto-ML machine-learning models. Upon completion, an email alert is generated. The advantage is users know when to expect alerts and can thereby reduce stress and avoid constantly watching the markets. User experience: receive an email shortly after 7PM EST every day with the recommended action. Whereas the standard alerts come at a consistent time, Auto-ML can trigger at any point. The Crypto-ML machine-learning models are constantly monitoring the markets and may notify users to BUY or SELL at any time. The advantage is the machine-learning models are less constrained and can potentially catch big movements sooner. User experience: receive an email whenever a BUY or SELL alert is generated–24×7. How can I learn more about Auto-ML? For a full comparison of both Auto-ML and Crypto-ML Standard, please visit Crypto-ML Notifications: Standard and Auto-ML. You may also ask Crypto-ML Support or comment below. Here you will find a few answers to frequently asked questions. Should I select one notification option or both? By viewing the Auto-ML and Crypto-ML Standard results, you will notice that both log winning and losing trades. These systems work best when you follow every trade. 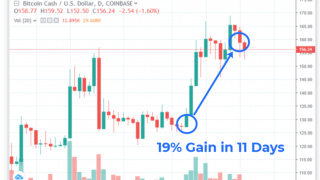 You may experience three losing trades in a row, decide to skip the fourth, only to find that became a winning trade that offset the previous losses. Picking and choosing trades to take may compromise results. The machine-learning models were designed to maximize cumulative results, which is apparent in the history. Therefore, it is recommended to choose one option. 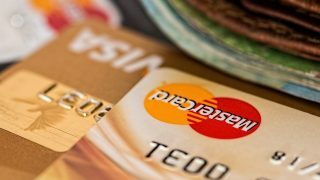 Alternatively, users may choose to follow both with separate funds. Although Auto-ML was initially envisioned as day trading, we found the results were not satisfactory when a trade quantity was forced. Machine learning works best when constraints are removed. As you can see in the history, some trades are opened and closed within 24 hours. However, some of the best trades are open for weeks. It would be better to describe Auto-ML as swing trading, though timing is not a specific constraint. Yes. 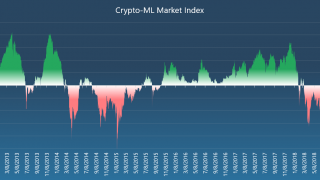 The Crypto-ML Standard and Auto-ML alerts are completely independent and may provide conflicting signals at any given time. Which notification option performs best? Both notification options have historically exceptional results. There is no guarantee on the future performance of either. Fundamentally, given the fewer constraints Auto-ML faces, our expectation is that it will outperform Crypto-ML Standard. That said, if you are unable to react to the notifications in a timely manner, your personal latency may impact results and it may be better to use Standard instead. Which cryptocurrencies does Auto-ML support? The Auto-ML notifications support Bitcoin. If you are a busy professional seeking to take advantage of the cryptocurrency markets as a side interest, Crypto-ML Standard is likely the best option for you. If you are a serious trader, willing and able to monitor the markets closely and drop what you’re doing to execute trades, Auto-ML is likely the best option for you. Either way, the selection is a choice only you can make. Individual results will vary, and of course, invest responsibly.